Sorry to all my faithful readers for the break in updates! I was busy finishing up my internship at NASA, saying goodbye, packing and driving back to Arizona, ok, Chris did most of the driving, but I had to navigate (navigate is code word for nap!!)! I thought I would do a quick re-cap of the summer, mostly through pictures! 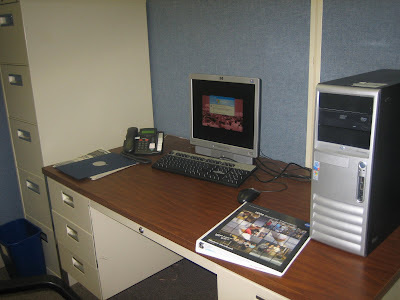 Here is a picture of all of the 2009 NASA Summer Interns. Its kinda like "Where's Waldo?" If you look real close my head is just poking out on the right of the second row. Here is a nice picture of the interns in my group. I'm in the front on the right hand side. Here is the famous "jumping" picture of just the USRP and MSGR interns...I was an "MSGR". This time I'm in the front looking like a big loon. I, being the horrible diabetic I am, thoroughly enjoyed the jumbo NASA cookie!!! I might have had one, or two, or three pieces...shhhh....don't tell anyone!!! It was so delicious! 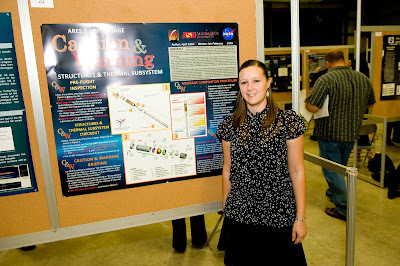 Anyone from NASA could come to the poster session, ask questions and ponder over our lovely posters. And let me tell you, some of those posters were BOR-ING...lets face it, engineers aren't the most artistic people. So, I tried to spice mine up by adding lots of color....ironically, the most common comment I got the whole day was "WOW! Your poster is very colorful!" I hope they enjoyed more than just the color...I worked hard on that thing. 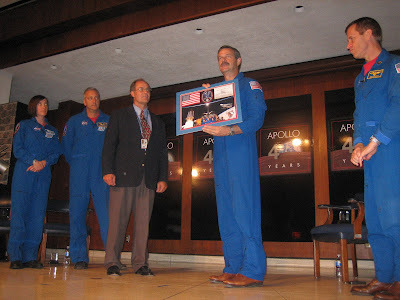 The Thursday before the internship ended Lance and I went to see some astronauts speak up at the main Marshall building. This model was in the entry-way and we decided it was a great photo-op! 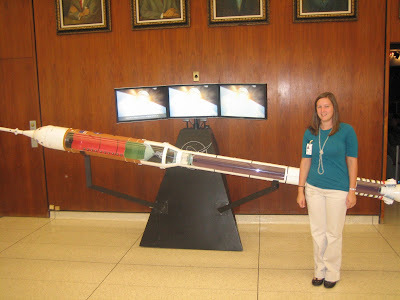 By the way...this is the Ares I rocket...the one I worked on this summer! 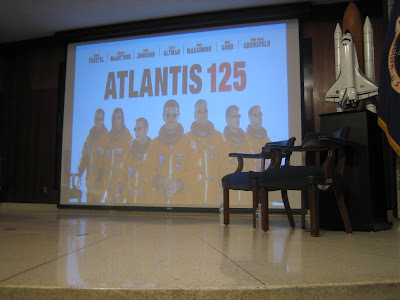 Well, once we got inside the auditorium to see the astronauts, I pulled out the "nerdy" card and forced Lance to sit in the front row with me!!! Hurray! This was taken while we were waiting!! 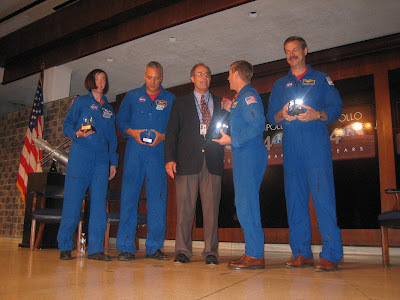 Finally, here they are...four of the astronauts from STS-125!! This was the last mission to the Hubble Space Telescope! And afterward, I totally got their autographs on my super awesome astronaut poster! 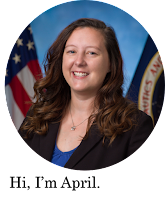 I thought it might be fun to take my readers on a virtual drive of sorts to see what it looks like to go to work at NASA everyday! So...here we go. 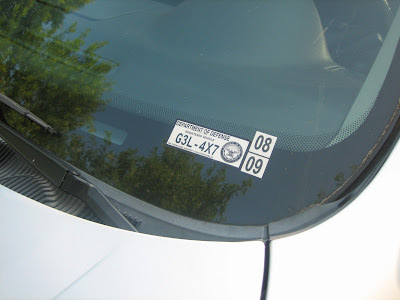 First: the badge, do not forget the badge! 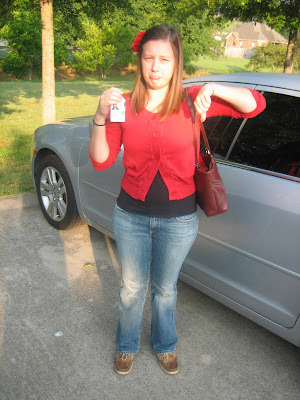 Then, don't forget to have your boyfriend take a pitiful picture before your last day of work! Double check your government decals are still afixed to get through the gate with success! 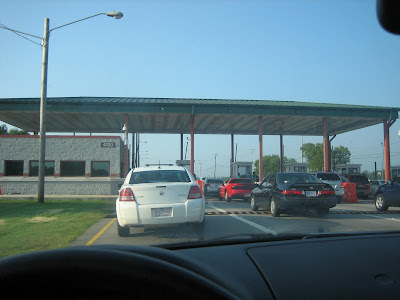 Drive up to the gate and wait in the long line for the officers to check your badge and decals. Oh ya, try not to look too stupid taking pictures of this process while others are glaring at you with those "why the heck are taking pictures of the gate?" looks. 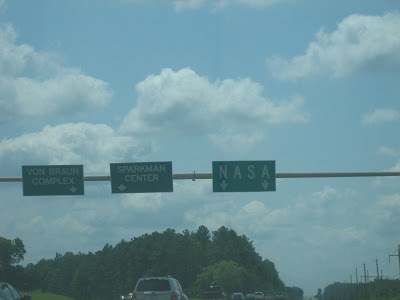 Continue driving down "Rideout Road" passing under the incredibly awesome NASA sign. 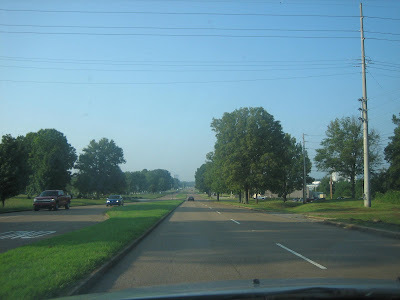 Continue driving towards the NASA section of Redstone Arsenal. 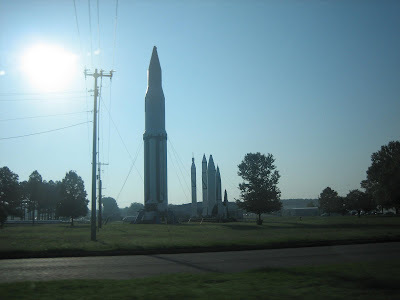 Make sure to take a close look at the rocket park, just before you get to your turn. 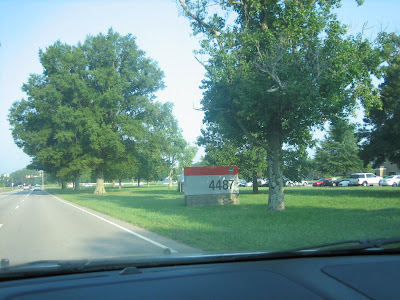 Make sure the sign in front of your building says "4487". 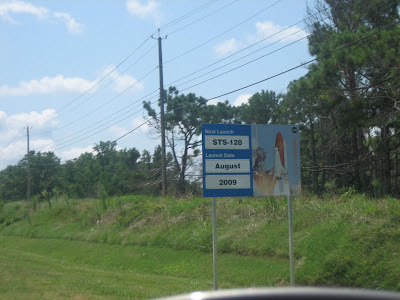 Yes, its a lame name, but lets be honest, NASA doesn't always have the most creative names. Park and scan your badge. Arrive at desk. Do lots of rocket science, then go home. Repeat! All in all I had a great summer and I can't wait to get my degree and work on rockets everyday! Thanks everyone for your help and support!